The speed of thought. That is how fast the world and technological advancement are moving. Blink and the shift happens. And the geniuses behind the gadgets we use and the latest softwares that have simplified our lifestyles have not let us down on giving the consumers the very best. Thus it shouldn’t come as a surprise that Apple is at it again. Their annual release of the latest versions of the OS X has left everyone in anticipation and high expectation. Be assured that if you are part of this expectant crowd, you shall not be disappointed; the soon-to-be-released OS X 10.10 by Apple has been codenamed ‘Syrah’ – this is the internal development tag, although the shipping name has not been revealed yet. Syrah, happens to be the name of a certain type of wine. As Apple hosts the 2nd June Worldwide Developers Conference (WWDC 2014), it is expected that the OS X 10.10 will be highlighted. It is also anticipated that it will be released later in the year, sometime in October. This latest entrant, a potentially new hardware and new software is expected to greatly overshadow the iOS 8 and it is practically going to be a huge hit, thus it will dominate the market for the entire part of the year that will be remaining. Apple have a done a good job of being discreet and keeping the world guessing as they have ensured details of the OS X have been totally kept under wraps. Previous versions of the OS were labeled from numeral 1 to 10 as each new version was released. Then in 2010, the updated versions of the OS X were labeled with cat-names; and these included OS X 10.1 Puma and OS X 10.0 Cheetah among others. 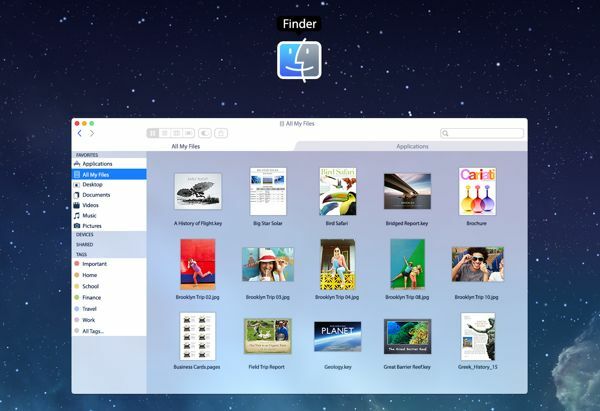 At the launch of the OS X 10.9 Mavericks, Apple, once again broke tradition in their naming system. They seem to love it – keeping people guessing, and as a result, it may not be obvious what name will be given to the OS X 10.10; will it be OS X 11? In relation to the features anticipated on the OS X 10.10, much is still be unknown but it is possible to make a few predictions. Siri, the voice assistant technology that was included in the iPad and the iPhone 4S, but was missing in the Mac OS X 10.9, is highly expected to be part of the package in the OS X 10.10. The AirDrop technology by Apple and Control Centre, allowing easy and quick access to Mac settings and features are also expected to form part of the OS X 10.10 features. Nope. Corners are too round.